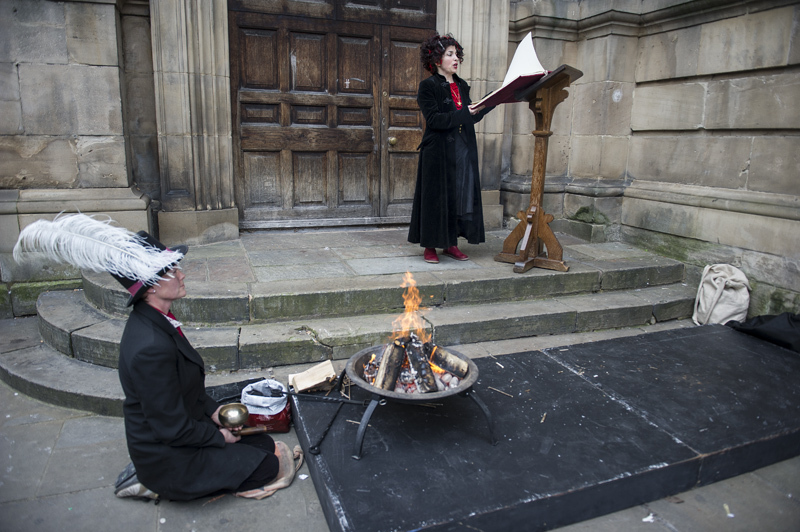 Please note: The Book of Debts, Volume V, Brighton and Hove will be recited and burned this Thursday 22nd May. Meet at Fabrica, Duke Street, Brighton at 6.30pm to be led to the burning site. Last rites over and a small wake until 7.45 /8pm. It is free. To add to this Volume of the Book, click here or visit Fabrica before Thursday afternoon. The Book of Debts, Vol VI, Lewes, will open the following day online. It will open its physical pages at the Foundry Gallery, Lewes, as part of a touring group show Future Dreaming, on Friday May 30th, 7-9pm and the recital and burning will take place on Sunday June 8th, 4.30pm details here. I took part in an in-conversation event with French artist Samuel Rousseau at Fabrica the other week entitled ‘Can artists be agents of social change?’ The question of art and social change is one I had raised at the start of my residency, mainly in response to peoples diverse readings of my Burning the Books project, Volume V of which culminates this week in Brighton as my residency at Fabrica draws to a close: is it activism, a political statement, a protest? Is it a shamanic ritual, a spiritual thing? Is it a secular confessional? What is it? Is it really art? My own answer is (since I keep being asked and this week it feels apt to put it in writing): it is a public intervention, a poetic framework, for whatever the person ’reading‘ it chooses it to be. It is a gift I am giving away, an empty space, with specific parameters. It has been seen/used as a provocation, a creative form of resistance (for example when featured at the Life Before Debt conference recently at SOAS). It has also been related to as a source of comfort and healing for past hurts, bordering on the therapeutic – or simply a way of opening up a deeply personal and poetic reconsideration of what this poorly understood but powerful construct of debt means or can mean, when seen in a broader way (i.e. looking at it beyond the financial) and therefore how its impact on the individual and society can change with this shift in perception. For some it is just a playful but rather intrusive way of asking people to ask themselves some searching questions about what their own responsibilities towards themselves and others are, at a personal and societal level. And on how they relate to the past and how this affects their view of themselves, others and their future. I list these as readings that have been given to me over the last two years. To me Burning the Books was an idea for an intervention that I felt compelled to make, and never thought to repeat. It arose from personal experiences, many of which have been recounted on my project blog. A play on how as humans we look for ways to end things, before – or long after – they are over, and on rituals which can bring us to a place through which we can re – imagine our place in the world, in the face of experiences that are hard to accept or own. The idea came as a gift, an image, after a period of action- research through the artists development programme Giving into Gift/Present in Public in Liverpool in 2011. And that is my primary task with this and all my other work – to materialize an idea, in this case in a a series of different volumes and contexts, to bring it to its fullness – until it ends in May/June next year. Samuel and I exchanged our experiences of working and talked about the relationship between art and social change as a very old question; in some sense, there has always been this inter-feed, at the level of culture and society being interdependent and of new ways of seeing self /society being made visible through culture activity (cubism, situationism etc.). As artists respond to what is been happening in the world around them, in turn this response has a societal influence. We share this desire to have our work cross interhuman borders, being accessible to those who might never venture into a gallery or museum, but this is true for many artists now, nothing unusual (or am I just surrounded by certain kinds of artists?). My own belief that everything we do affects everything else, that one simple action affects the world means that a small ritual act like burning a (proxy) book of debt, imaginary though it is, has an effect, Whether that is on the contributors themselves or on the wider creative commons of the reconsideration of how debt operates, it makes a difference. Maybe if I were truly brave and solely concerned with the socio-political dimensions of those debts that are unjust, I would have done what the Francisco Tapia just did in Chile, burning $500m of real, student debt. (RESPECT!). But my role is to cast a broader net than that, (though I have spoken on, collected and burnt plenty of unjust debt, symbolically in the last 2 years) and to invite in as broad and possibly contradictory responses to the subject as possible. To hear this extraordinarily wide range of takes on what debt is and the kind of stories it compels people to share, read them here or come and listen to the recital and watch the burning of Volume VI in Brighton this Thursday. And decide for yourself. I will write more on this, my cross border experiences and also on my upcoming gift-based installation in Amiens for Musee Picardie, from next week.